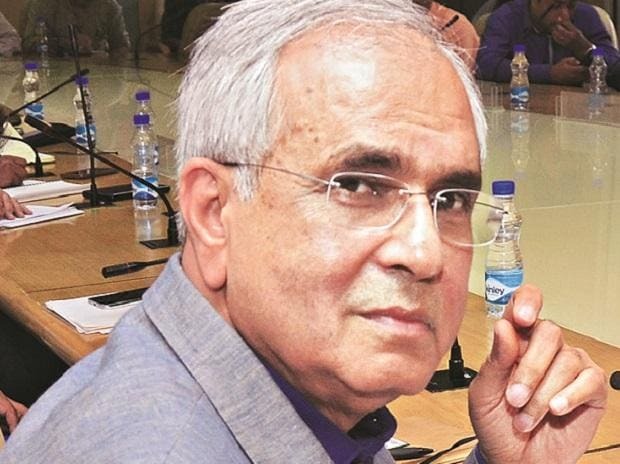 NITI Aayog Vice Chairman Rajiv Kumar on Monday said that economic growth in six quarters starting from the last quarter of 2015-16 slowed down due to rise in Non-Performing Assets (NPAs) and not the 2016 demonetisation drive, as claimed. "The declining trend for the last six quarters starting 2015-16, when the growth rate was as high as 9.2 per cent, was not a result of demonetisation. The growth was declining because of the rising NPAs in the banking sector. When this (Narendra Modi) government came to office, that figure was about Rs 4 trilion. It rose to Rs 10.5 trilion by the middle of 2017, because under the previous RBI governor Mr (Raghuram) Rajan, they had instituted a new mechanism to identify stressed NPAs. This continuously began to rise, after which the banking sector stalled credit disbursal to the industry. In fact, in some cases like that of the Micro, Small and Medium Enterprises (MSME) industry, credit actually shrank. It was a negative growth in some years," he said. Kumar added that no conclusive proof was established of a link between the economic slowdown and demonetisation. "This (decline in growth) was just simply in continuation of a trend and not because of the shock of demonetisation as has been claimed. I think there is no evidence to prove that there was a direct link between demonetisation and slowdown in the growth rate," he added. Following the decline in growth rate, the NITI Aayog official said ramping up of capital expenditure was necessary to counter the decline in credit disbursal to industry players. "Even to the large industry, the growth of credit came down to one per cent and two and a half per cent in some months, and even negative in some quarters. Never had we seen such a continuous and persistent year upon year deleveraging of credit. This is the cause of slowdown of growth. This is what is being compensated by the government by ramping up public capital expenditure. The government also used oil revenue bonanza in ramping up the capital expenditure while maintaining fiscal prudence. So it has been because of the government that you have now seen a rise in the quarterly growth rate since the second quarter of 2017-18," he explained. Speaking on the RBI's recent report on demonetisation, Kumar reiterated that demonetisation had intensified the crackdown on Black Money and benami transactions in the economy. "The RBI in its report stated that Rs.13,000 had not returned to the economy. Apart from this, Rs. 239.42 billion has been seized by tax authorities, which adds up to Rs 360 billion. Around 1.8 million suspicious accounts are being scrutinised. In total, we expect another Rs. 1.5 trillion to return to the economy. Demonetisation has helped keep corruption in check," he noted. The NITI Aayog Vice Chairman also said that demonetisation led to an increase in filing of income tax returns.